When it comes to health and fitness, information obtained via social media can be either helpful or harmful—and at times it’s tricky because what we read and hear might be misleading. Social media is a huge part of our lives and an excellent way to stay connected with friends and family. If used wisely, it’s also beneficial for staying fit. Facebook, Twitter, Pinterest, Instagram, and Snapchat are some of the popular social media sites, along with hundreds of different apps. Here are some ways they can either help or hinder your fitness. Support groups: Online support groups can be formed on social media and are great for providing accountability. For example, if you and your friends plan to run a 5K, you can stay connected with each other via a social media support group, sharing workouts and training while holding each other accountable daily. Social media can also connect you to like-minded fitness enthusiasts who can offer motivation and advice for your particular sport. Sharing healthy recipes: Social media users can share healthy recipes for dishes that are made in minimal time, upload pictures and videos of healthy food, and inspire others to eat healthy. Be mindful: the term ‘healthy’ is a big grey area, and what some might consider healthy might not be so in reality. Also, people can be influenced the wrong way as certain food images can work negatively, causing you to dash for that cheesecake or ice cream sundae! Obtaining fitness knowledge: Good fitness sites are great resources for articles and up-to-date information about exercises, fitness equipment, nutrition, diet, and much more. While social media provides an endless stream of information, it is important to consider the source of that information. At times it’s also hard to weed out opinion from fact. There are many so-called ‘fitness experts’ who post about exercise and diet without proper knowledge and education. Make sure to check the credentials and educational background of people you decide to follow. Just because someone lost 30 pounds or exercises every day and posts appealing pictures, does not make them a fitness professional. It is always advisable to get information and articles from professionals and from reliable online sources such as the American Council on Exercise or the American College of Sports Medicine. Distraction during workouts: While social media is helpful for sharing information, it can unfortunately be a distraction while exercising. Are you one of those people who has to let everyone know that you are working out, by taking pictures of yourself and sharing? And then checking how many likes or comments you’re getting during your workout? If so, then social media is interfering with your workouts and you are not challenging yourself while exercising. If you must use your phone for music, put it in airplane mode to avoid notifications and other messages from coming in during exercise. Inferiority complex: Social media can also cause an inferiority complex when it comes to fitness. Being constantly bombarded with images of fit bodies with flexed muscles and toned abs can make a person feel inadequate with the feeling of ‘I’ll never look like that,’ thus creating a negative body image. Pictures on social media can give a false sense of reality. Negative comments on social media can be further damaging to self-esteem. When it comes to social media and your fitness, be realistic about your fitness goals, keep a healthy body image, and never compare yourself to someone else. 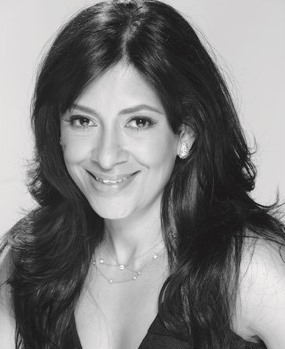 Aarti Patel serves as the columnist for Fitness Lifestyle. She has a B.Sc. in Health Information Administration and is certified by the American Council on Exercise as a Personal and Group Fitness Instructor, and Lifestyle and Weight Management Coach. She can be reached at (404)-376-5655; info@aartifitness.com. This column rotates monthly along with the Ask the Doctor column by Gulshan Harjee, M.D.